After last year's Three Mountains Ride 2015 Harley-Davidson® Sofia and H.O.G.® Sofia Chapter are proud to invite you to Ride On Bulgaria 2016. We will be happy to welcome you in one of the most beautiful places in Bulgaria. We are hoping to spend some wonderful days together and to have an unforgettable ride in the remarkable Pirin Mountain. We, from Harley-Davidson® Sofia and H.O.G.® Sofia Chapter will be expecting you to be ready for new adventures and more exciting rides. Ride On Bulgaria 2016 is an event organised by H.O.G.® Sofia Chapter. The event will take place from 1.07.2016 until 3.07.2016. in the Razlog-Bansko Valley at the Pirin Mountain. Ride On Bulgaria 2016 will happen in three consecutive days and will be full of great fun and numerous experienced motorcyclists who are huge Harley fans. It is expected that Ride On Bulgaria 2016 will become one of the most successful H.O.G.® event for 2016. H.O.G.® (Harley Owners Group) is the biggest motorcyclist group worldwide that has more than 1 million members in 140 countries. All H.O.G.® Chapter members organise numerous events , group rides, charity events, competitions etc. 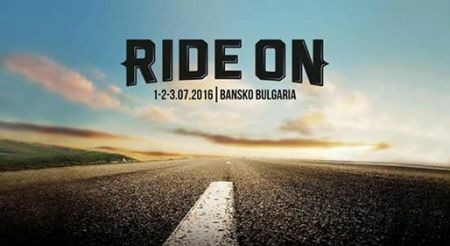 Harley-Davidson® Sofia is honoured to be the official sponsor of Ride On Bulgaria 2016. Ride On Bulgaria 2016 is an open event with pre-confirmation. This means that all the participants have to confirm their presence and request a room/rooms for accommodation before the announced deadline. Invited to participate are all friends and fans of the brand that share the same passion for Harley-Davidson® Motorcycles.